New Pearl Scan website Launch! We are very excited to have finally launched our new website design after 6 months in development! Some of our goals for the development of the new website were to make it simpler, faster and more user friendly. Most of all, we wanted to help our clients find the information they need in a faster way. As you probably notice things have been moved around a little bit and the information is looking pretty spiffy. 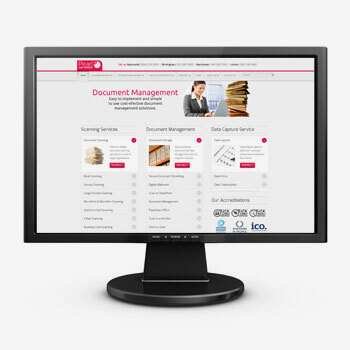 If you take a look around the site; you will get a pretty good idea of the sections and information modules that we have developed: Scanning Services, Document Management, Data Capture, Industry Solutions, Blog, About Us and the very important Contact Us Section. The upgrade process went through many stages and reviews. Preview to start the design we analyse all our existing data to organize all the services and section that were more relevant to our visitors. The design process came next, keeping a unify image is really important for our brand and we were looking for a CMS that give us the flexibility and security to deliver our content. Part of the process also included the upgrade of our dedicated server for better speed and safety features. Part of the upgrade task was to review all the exiting pages and content; and upgrade that information and images to deliver fresh new information to our users. We will appreciate your thoughts in the comment box below.